The cottages are situated in Chantonnay, a town in the Vendée, well known for its numerous walking and cycle paths. As it shown by the number of times the Tour de France passes through the Vendée. Road bike or hybrid bike: when in doubt, pedal it out, epic! The area around Chantonnay is appropriately named the “country of cycling” and has hosted several national road and mountain bike competitions. The plunging countryside of the 2 lays valleys offers beautiful, uneven and varied landscapes. 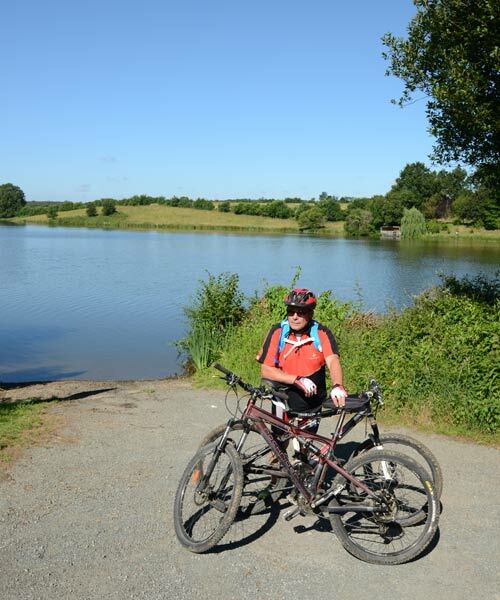 Depending on whether you choose to ride along the lakesides, through the forest, or try a more challenging hilly trail or simply follow the river’s edge with the occasional ford to cross – there is nothing like it – a simple pleasure! The Vendée cycling network stretches over 1,100 km, it is the largest marked network in France. 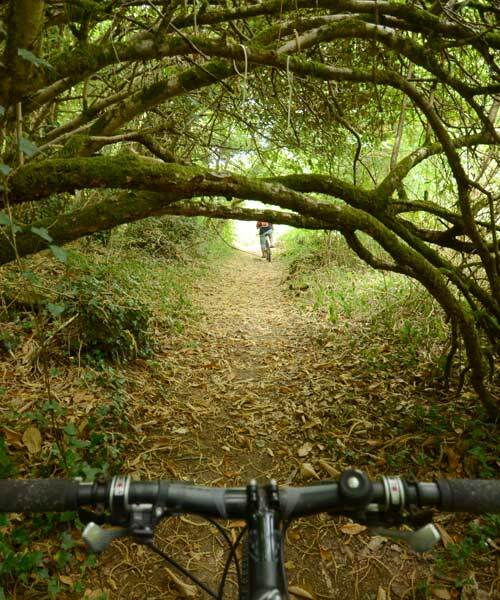 You can get cycling in complete safety with family and friends using the various tracks crossing the Vendée landscape, from the coastline of the Marais Poitevin to the Bocage. In our region, the countryside is undulating hills and woodland : so don’t hesitate to ask us about the best opportunities for quiet and easy rides. Need to find bikes for the whole family ? Our partner BikeHireDirect delivers to the gîtes a wide range of bikes and accessories including collection, helmets and locks all at great value prices. Bicycles are available to everyone from 3 months to 100 years old! You could also find ‘Tag-a-Long’ children’s bikes, rear mounted child seats, children’s chariots, pull along cargo trolleys, baskets, panniers and car bike racks. In 2015 Chantonnay received for the 3rd time, the French Cycling Championships: that’s to say that the territory offers a variety of landscapes and rolling hills, worthy of interest! Professionals of the “petite reine” (the little queen** a nickname given to cycling), passed near the gîtes (at just 100m) during the time trials. Starting out from the gîte, we have identified 12 marked trails from 5 to 25kms : they are of varying difficulty. We will give further details as and when we have tested them. The track offers many opportunities for walkers : The Lay valley is a quiet place under tree cover. For riders however, it’s a bit more difficult : rocky and sloping fields can force them to dismount several times. 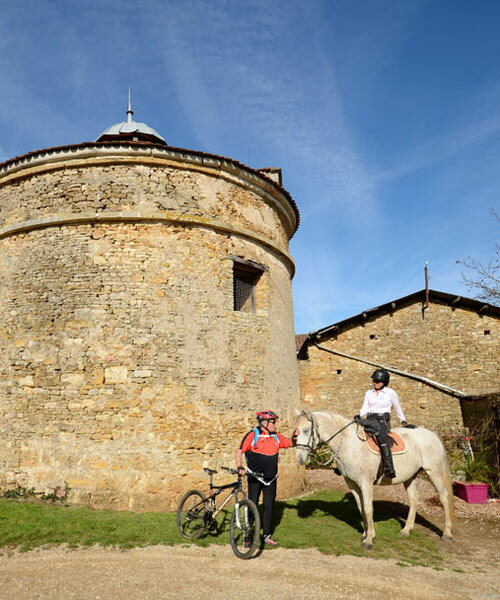 Starting at the foot of the Sigournais chateau, follow the marked road to the picturesque Requerre hamlet. Then you will start the descent onto the Rochereau lake trail. Be prepared to meet many people : horse riders, walkers and fishmen. This mountain bike track offers quite interesting slopy parts, alternating downward and upward pathways. Some peculiarities to be found along the ride : the neolithic passage grave of les Landes, a ford, and the manor house of la Jordronnière. Lots of character houses, and breathtaking views : this charming path starts from the Lay valley to reach the crest line, which you then follow. A secret history will be revealed during the tour : The manor house of de Ponsay, the dovecot in the quaint Dinchin hamlet and the very interesting vine huts.